This is rava kesari recipe with step by step photos. Rava kesari is also known as kesari bath. 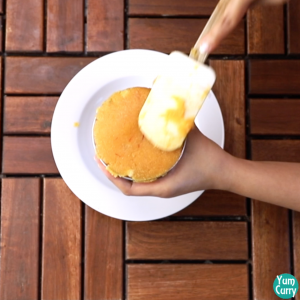 This is one of the famous dessert recipe from south India. This is also served in many temples as prasad where they call it sheera. 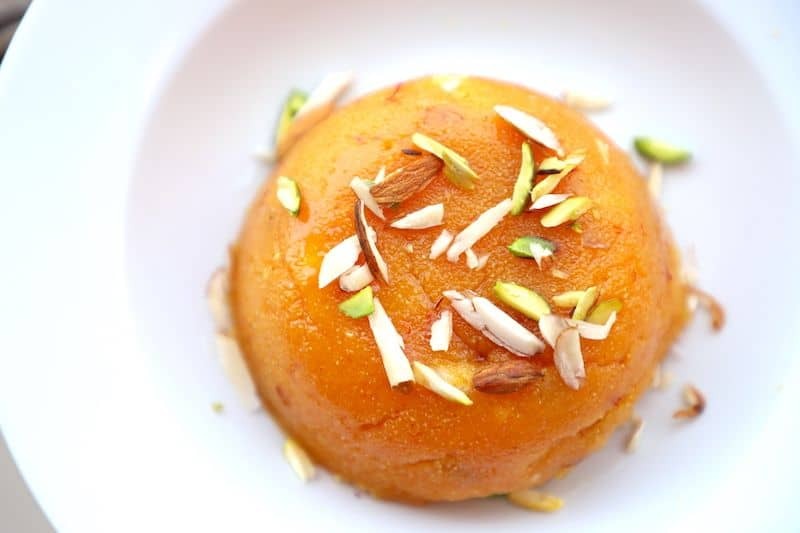 Rava kesari is no different from suji ka halwa, all the process is same just we add kesar or saffron in kesari bath which gives a different flavour to this halwa. Kesari bath or rava kesari served in temples or restaurants are orange in colour, so to get the same colour we add orange food colour to it. Saffron also gives a nice colour to it but it’s more yellow rather than orange. 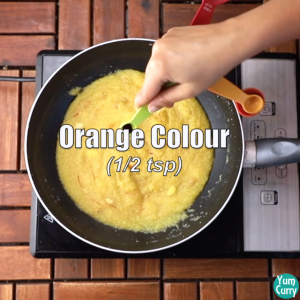 If you want to avoid use of orange food colour, you can skip this step. When I make kesari bath I don’t add orange colour to it but when I make it during festival or for guests I use the colour to make it look more like restaurant or temple style. For this recipe, you need very fine semolina. 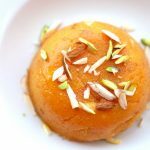 I have tried this recipe or sooji ka halwa with medium fine semolina or rava but trust me the taste you get from the very fine semolina is super yummy and perfectly roasted. 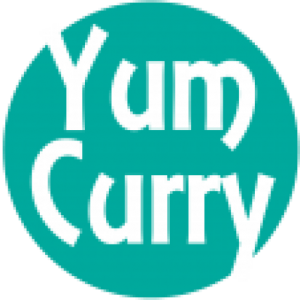 Fine semolina or rava also give great texture to this recipe so I would highly recommend you to use this. Hope you like this recipe from my kitchen. Please like, comment and share it with your friends and family. Enjoy! 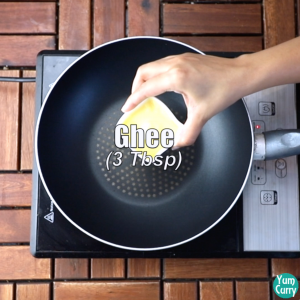 Heat a pan and add ghee to it. 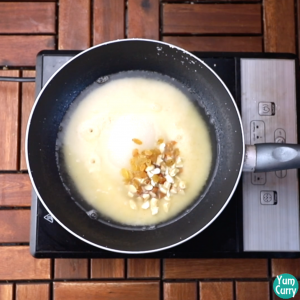 When ghee melts completely, add fine semolina/rava to it. 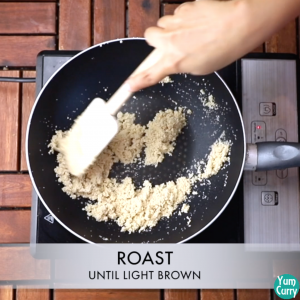 Mix it using a spatula and roast on low-medium heat until it becomes light brown. Do not burn, stir continuously. 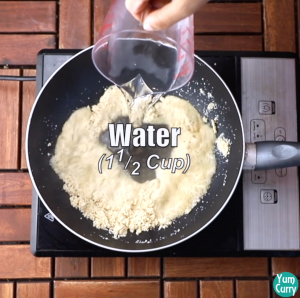 Now add water to it and mix well. Add sugar, cashews, almonds and raisins to it. Mix well until semolina or rava becomes little dry. Now add cardamom powder sand saffron water to it. Mix well. Add the orange colour, if required and mix well. Stir it continuously until rava becomes dry and starts to come together. Turn off the heat when done. Take a small bowl and fill it with rava kesari upto the top. 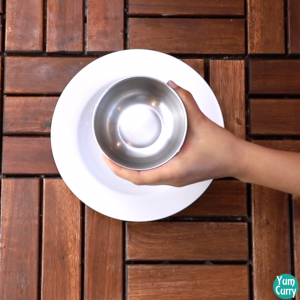 Flip the bowl upside down on the serving plate and tap a little on the bowl so that the halwa or rava kesari comes off. Remove the bowl. Garnish it with some more finely chopped dry fruits and serve hot. Heat a pan and ghee/clarified butter to it. 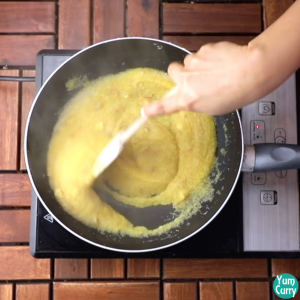 When ghee melts completely, add semolina/rava to it (I have used fine semolina). Mix and roast it until it turns light brown. 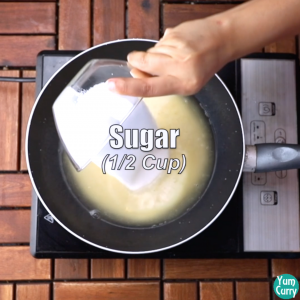 Do not burn, stir it continuously on low-medium heat. Now add water to it. Mix well. Add sugar, almonds, cashews and raisins to it. Mix well until it becomes little dry. 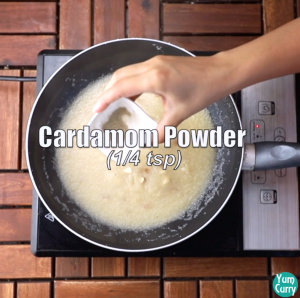 Add cardamom powder and saffron water to it. Mix well. Now add orange colour (this is optional) and mix well until the rava becomes dry and starts to come together. Turn off the heat when done. 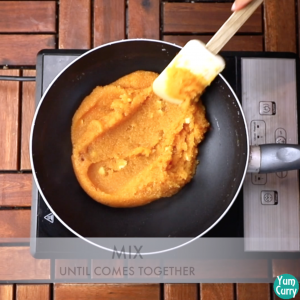 Take a small bowl and fill it full with rava kesari and use a spatula to flatten the surface. Now flip the bowl, upside down on the serving plate. Tap the bowl and remove it. 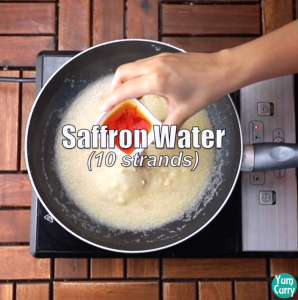 Garnish it with some more dry fruits and serve hot.